As a member you can bring guests at a reduced green fee. You can introduce a maximum of three at any one time and you must play with your guests. You may only introduce the same guest three times in any one year. 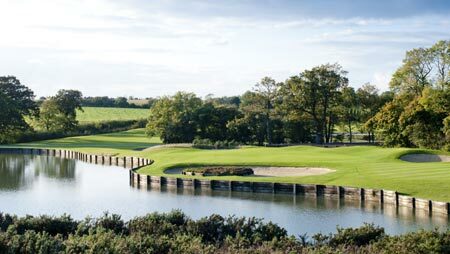 Platinum members may introduce guests at £30 on the Codrington course and £15 on the Stranahan course. You can introduce three guests at no charge during Open Week. Colts can introduce guests at the same rates but not introduce three free guests during Open Week. Gold members may introduce guests at £30 on the Codrington course and £17 on the Stranahan course. Gold members may introduce one guest at no charge during Open Week. Silver and Bronze members can introduce guests at £36 on the Codrington course and £17 on the Stranahan course. Winter guest fees are £26 on the Codrington. £16 on the Stranahan (£14 if Platinum).